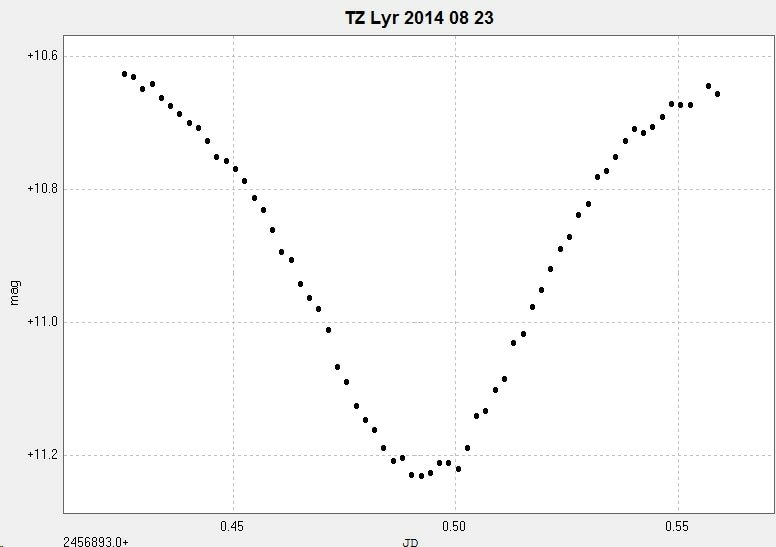 A primary minimum of the EB type eclipsing binary observed with the Somerby Observatory 2" Titan on 23 August 2014. The images were unfiltered. 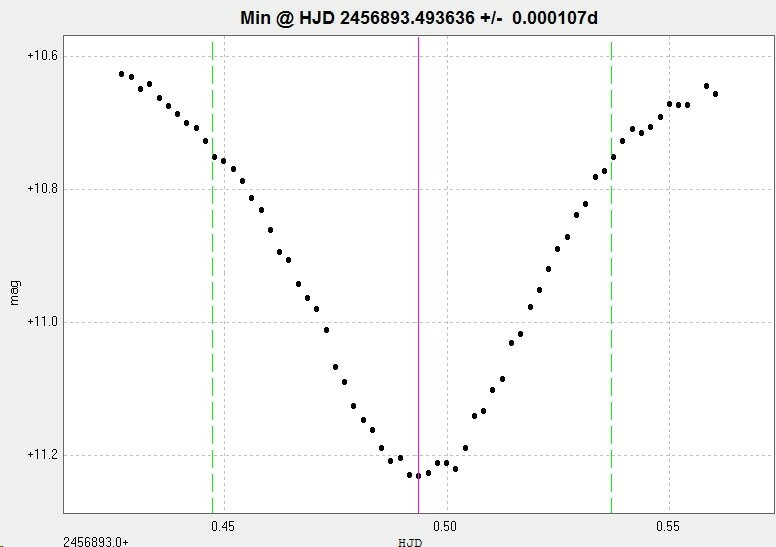 The minimum magnitude is about 0.6 mag brighter than the catalogue value of 11.85 (AAVSO VSX) mainly because there is another star very close to the variable which is 'blended' with it in the images. ​There is o-c activity in this system (Kreiner).